IER's experienced engineers can repair all types of encoder units - these include Incremental, Absolute and Linear. Due to the mechanics and complexity of an encoder, we sometimes call upon our wide network of suppliers to assist us in resolving faults. For specific issues that arise with faulty units at component level, IER can also source new parts. If a fix is not economically viable, a new unit can be constructed, usually rebuilding using the existing casing. IER offer a repair service on a large range of Servo Motors from a wide range of applications including Robotics, Conveyor Systems, Metal Cutting & Metal forming machines, Woodcutting CNC machines and printing presses. Please feel free to contact us for more information or to arrange a free scheduled collection and quotation. 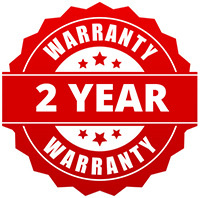 Our servo motor repairs come with a 1 Year Warranty unless otherwise stated. For a FREE scheduled collection and a FREE quote, contact our Customer Service Centre on +44 (0)1462 671001 and we will be glad to help. An encoder converts information from one format to another and can be for efficiency, security or compression purposes. An absolute unit retains its positional information if power is omitted from its system. The relationship between the device and machinery are established upon assembly and do not require recalibration. They are an essential link between technologies and their controlling systems. They provide conversion output with the rotation of the unit and are used in technologies such as the car stereo. A linear is like the incremental, but measures positions in straight lines as opposed to rotations – they are often used in machinery. If the encoder unit fails for any reason, IER offer professional encoder repairs to reinstate your device as swiftly as possible.